AAC block production line composes machine of various sizes.The aerated block production techonlogy is to make raw materials after grinding,mixing pulp in a certain proportation ,then poured into the mould ,rest foam ,cutting,steaming,finally fininshed product. 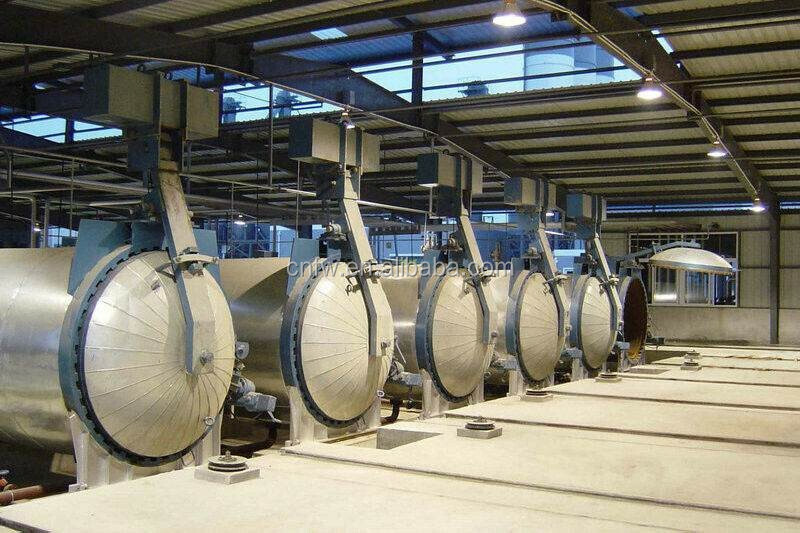 AAC block machine is consisted of crusher,ball mill, mixer, elevator,pouring machine, model frame, molding plate, steam car,and autoclave,etc.Specific machine is planned and designed according to the actual sites.At the same time ,the machine's price is decided by depending on the specific situations. 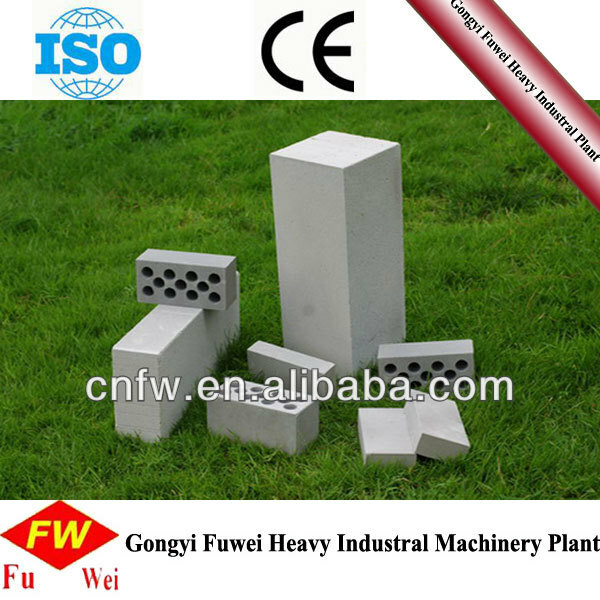 AAC block Advantages Light weight: Aerated concrete density is usually 400-700kg/m3, (according the market in produce ), same as 1/3 of clay brick and 1/5 common concrete. So use the Light brick can reduce the weight of the build more, and also reduce the beam of roof and pillar press best. then you can see, it can save the material and cost, it also fighting shaking. Keeping temperature: It has many porous, the delivery hearting coefficient is 0.9-0.22W/(mk),the same as 1/4 or 1/5 of clay brick, so it is best materials now in the world. 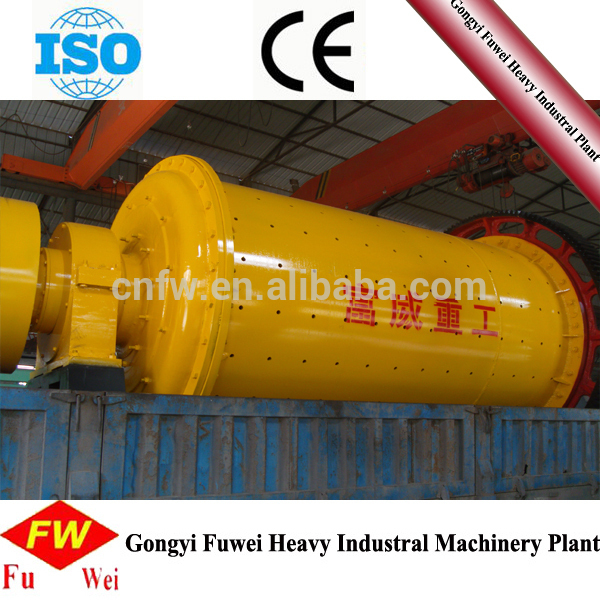 Also many kinds raw material, have lowest waste. 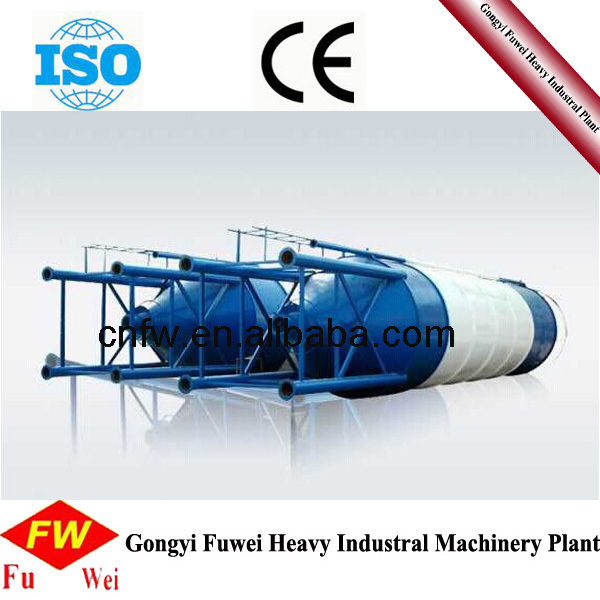 Main Materials: coal ash sand waste mine material coal stone, stone dust and other silicon materials. 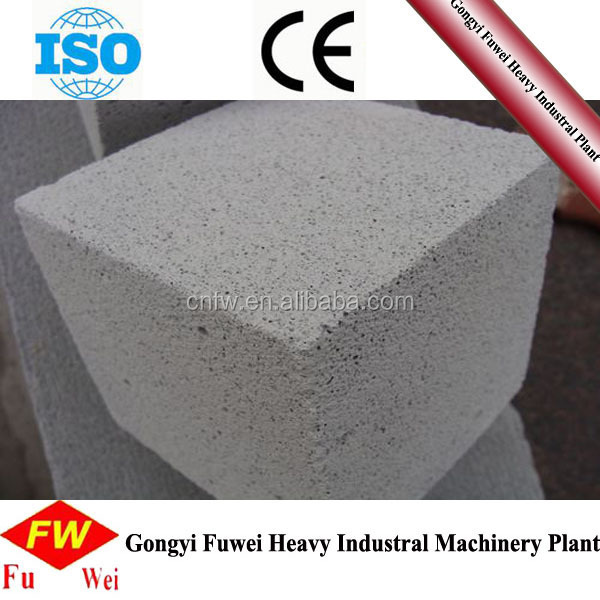 Aerated concrete brick ( ligh brick) is the light and porous building material. It has light weight keeping temperature cant burn and other advantages. It can be made into many kinds of bricks ( for example: 600×200×100, 80 ×80 ×180,240 ×115 ×53,600 × 200 ×125), they could be used industry building and common building. They are more and more popular in the world. In the future, they will replace the clay brick . 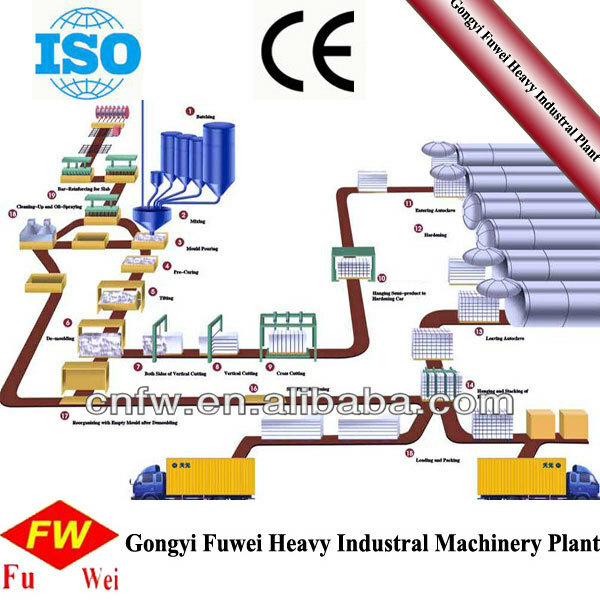 All raw meterials are carried into factory by trucks.Fly ash,sand or lime are gatherinspecified raw materials field waiting for using.Sacks of cement and bulk cements stored in cement warehourse.Chemicals and aluminum powder are seperatedly keeped in chemical warehourse and aluminum warehourse.When used,these raw materials are carried into workshop respectively. Cut model is conveyed to precuring room for gas forming. Room tempreture should range from 50°to 70°.This period lasts one hour and a half totwo hours. 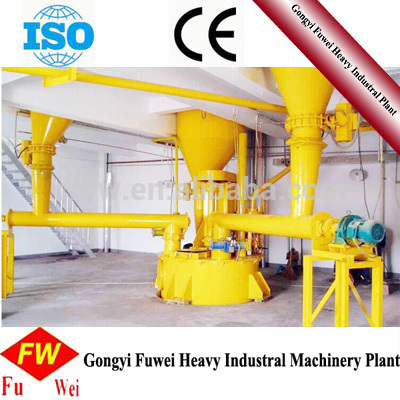 (If materials take on geographical advantages,this precuring can be eliminated. 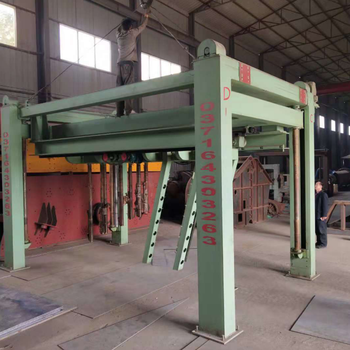 Precured green body together with mould frame will be lifted to cutting station that is covered by autoclave board .After frame detachment,cutting machine do cross-cutting, vertical cutting, face-milling and tip-binding. At the same time, die grid is hanged to precuring cart for manual cleaning and degresing to prepare for the next perfusion. 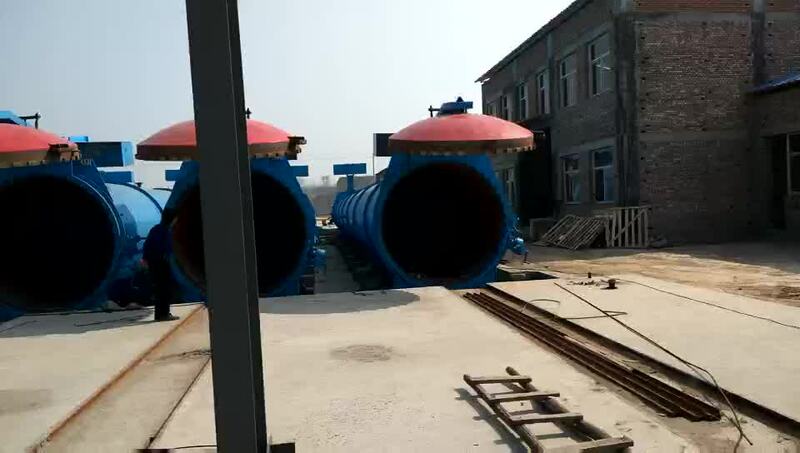 The cutting ready embryois are carried to precuring cart together with die seat, palletizing in two tiers, four pillars between two the tiers, and get into grouping process.When the cutting of body is completed, partial waste materials cut down will be processed into waste material slurry which then will be pumped to the slurry tank located at the topmost story of batching building, after that, add the necessary raw material, then transported into a pulping machine for reuse.